Hallé Piccolo player (1876-77). Toured extensively during the later years of the nineteenth century, performing, amongst others, his own compositions, many of which were based on traditional melodies. His tours took him to the United States, where in the 1880’s he performed as soloist with many famous bands including that of Gilmore. Lax eventually settled in Baltimore in the early 1920’s. He was also an early recording artist for the Stanzione and Finkelstein company and an agent for Bettoney Woodwind Instruments. 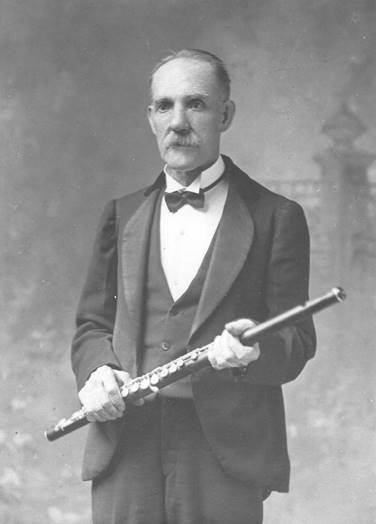 He published a number of his own compositions and a Flute Method of some 287 pages (Pepper & Son, Philadelphia).